Jeep Renegade Forum > Renegade Tech Section > Exterior > Cross bars for factory roof rack? Cross bars for factory roof rack? I took delivery of a Glacier Trailhawk last week in Baltimore. Has anyone purchased cross bars that fit the factory roof rack? Please cite manufacturer and model number. I originally was looking to get the black Thule aeroblade crossbars, model #7503B , along with the Thule ski rack, model #92725 . This setup would've cost approximately $650. But then I saw the Thule 5401 Snowcat ski rack which mounts directly to the side rails for only $200, so I ordered this one today. I only plan on hauling skis, snowboards, and fishing poles on the roof, so this is sufficient for my use. 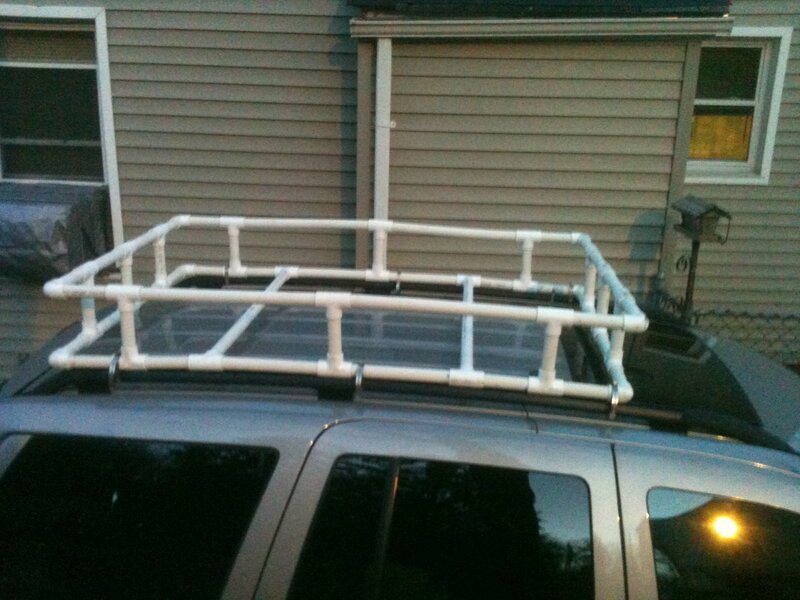 If you are looking to load other things on the roof, like a kayak, bicycle or canoe then you would need the crossbars. Thule has crossbars for our factory side rails and it is shown in MOPAR Renegade accessories. Look up in MOPAR accessories or on Thule website. These are only ones I have seen concerning crossbars (ONLY). Perhaps I am cheap, but I was not going to pay $300 for Thule or Yakima crossbars. I found some Rage Powersports crossbars, sold by Discount Ramps, which are very heavy duty,(180 lbs. capacity) lockable, and fit my new Renegade factory roof rack. The part number is RB-1004-9. $80 with shipping. 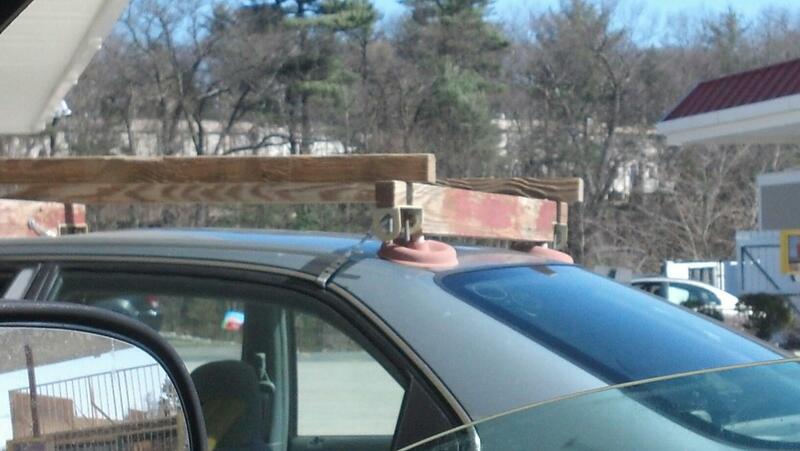 My primary purpose is the occasional Home Depot run for ten 2x4s, to be strapped on. Rage Poweresports products are also sold on Walmart web site. I did fashion 3/4 by 1 rubber shim for insertion under the cross bars at the four connection points. I wedged the rubber shims between the factory longitudinal bar and the cross bar clamping mechanism so there is upward tension in addition to the clamping tension. Also, I put lock-tite on the four nuts that secure the outside clamp of the bar. The inside clamps on the cross bars are secured by a threaded rod that has a lockable knob. After the knob is tightened, you lock it with a key and it then spins freely. I suppose I will get some wind noise from these cross bars because they are 1 by 1 1/2 heavy steel, not the aerodynamic shape of some of the fancy manufacturers. I note that the manufacturer cautions that the cross bars should be removed when not in use but I am confident my slight modifications (lock-tite and rubber shim) will keep them secure for a long time. teddyfirehouse and slinghigh like this. Hi TrailHawk, great find on the Yakima Whispbar Rail Bar, I like the lower profile look better that the Thule AeroBlade Edge. I think I will buy those, thank you. I got a brand new yakima roundbar set-up on the cheap ($150) from craigslist. If you live in a big city/town, it's worth doing a quick search. I think it looks great and I don't deal with much/any noticeable wind noise. joeschutte, ShauntheJeep and SerTiddles like this. Last edited by PAK325; 04-24-2015 at 09:32 AM. Before trying any of these, please make sure your car and liability insurance are paid up so you can pay for repairing the car that is following you. PAK325, Beep_Beep_Jeep, twospirits and 9 others like this. Sprinkler pipe looks great and when wrapped in black, some people might not think much of it.